Putting a lot of time and energy into your garden only to see it destroyed by squirrels is a frustrating proposition. As a result, many gardeners think long and hard about animal-friendly ways to deter the little critters. Luckily there are some options. One such option is to use everyday household spices. Sprinkle these spices around your plants and watch the powerful effect they have on your unwanted guests. Chili powder is one of the most surefire ways to deter squirrels from your garden. 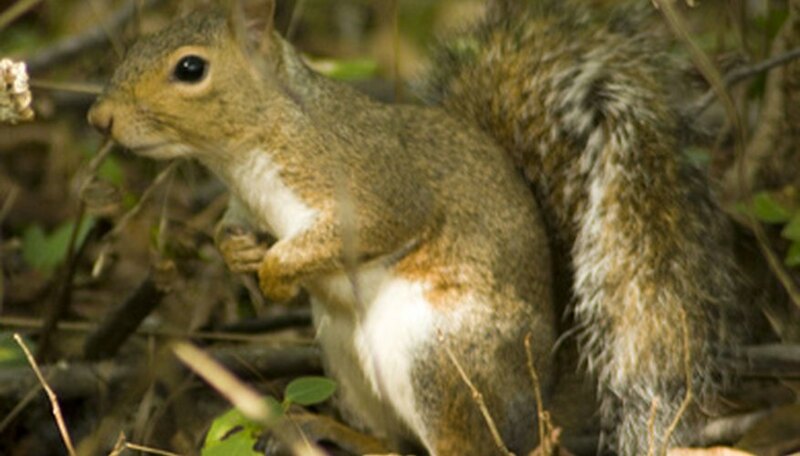 Squirrels tend to bury their noses into the ground when digging around in a garden. If they get a snout full of hot chili pepper they will run the other way and think twice before coming back around. The powder won't affect the plants. So make sure you sprinkle it around liberally. Red pepper works in much the same way as chili powder. Red pepper is hot and spicy, and will get into the squirrels' noses. They will be deterred from rooting around and destroying your plants, and digging up the roots and bulbs. Just like with chili pepper, it won't negatively affect flowers or vegetables, so use it liberally. If you notice that the squirrels are undeterred, use more. Combine chili pepper and red pepper to make an extra powerful deterrent. Add cayenne pepper into the mix to keep the squirrels at bay. When combined with chili pepper and red pepper, cayenne pepper will have squirrels high-tailing it out of your garden in no time flat. Again, like the other two, it won't damage plants and vegetables. It also won't harm the squirrel; it will just make them think twice about making short work of all your hard work.